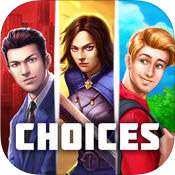 Choices: Stories You Play is a sort of mash-up of games that are driven by choice (like something from Bioware or Telltale) and a choose-your-own-adventure book. Only in this case there are a lot of different books covering different genres to choose from. There are a couple of things you'll need to know before you start reading. There are more than just the two stories you start with. You can choose between either a romance or a fantasy story when you're first starting out, but at any time you can return to the main menu and try the other tales on offer. Pace yourself. Starting a new 'book' is free, but you need to spend keys in order to continue on to new chapters - and keys slowly refill over time. You might need to stop reading for a bit from time to time so the keys can come back. Save your diamonds. Diamonds are your only means of making certain choices at specific points of a story, and they don't refill like keys do. If you come across a decision that requires diamonds, make sure you want to spend them first. Otherwise you're better off saving them for a story you're more invested in. You can earn diamonds. It takes a while, but you can save up diamonds by completing a story's chapter for the first time. Given the time it takes for keys to come back this may take a while, but it is possible to stockpile a decent-ish amount of them without spending money. If it weren't for the freemium monetization, Choices: Stories You Play would be a decent collection of stories worth reading (and re-reading). Unfortunately the need to spend premium currency on important decisions completely undercuts the possibility for enjoyment. None of it is worth the frustration. It's been a while since a game has caught my interest only to completely lose me completely like Choices: Stories You Play has. 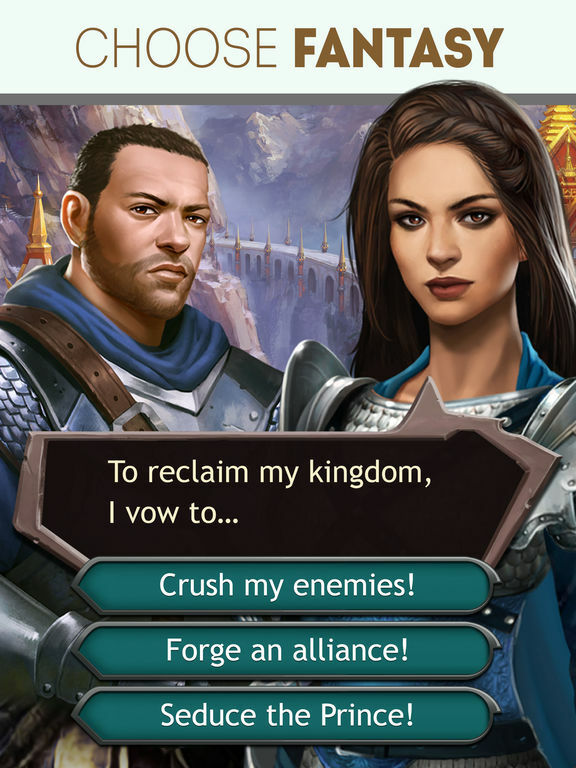 What started out as a promising collection of choose-your-own-adventure stories with a bit of 'your choices matter' thrown in quickly turned into an obnoxious mess of freemium monetization tactics - some of which are so bad they actually made me angry when I first encountered them. That doesn't usually happen. Choices: Stories You Play is essentially just as I described it: a collection of visual novels of a sort where you make choices along the way, and sometimes those choices can have a lasting impact on the rest of the story. It offers up a fair number of tales to check out as well, with some getting new chapters at regular intervals - sometimes even a sequel or two. You're given the choice to try out a Romance or a Fantasy story at first (I chose fantasy), but there are several more you can find in the main menu. First off, it looks pretty nice. I haven't tried all of the stories yet (there are a lot), but what I've seen isn't bad. There's some nice variation between character portraits and backgrounds in each story, and the way styles change (i.e. things looking more like a comic book for a superhero story). Little cohesive touches like portrait backgrounds changing color to denote emotion - along with facial expressions, of course - are also nice to see and makes understanding the visual language between the different books much easier. The choices themselves do make a difference as well. Which, I mean, they should seeing how they factor into the title and everything. As you'd probably expect, some of the decisions you make merely result in slightly different dialog in the future, but others can have much more of an impact on a story arc. Of course this also depends on the story you're playing. Some, like the fantasy-themed The Crown & The Flame, keep track of things like character influence and army strength, which can open up new choice options down the line. Others, like Hero, are a bit simpler. Despite all the optional content and potential divergent paths, it can sometimes be tough to stay invested. This is due to the writing which, unfortunately, isn't that great. I mean it's understandable. There are a lot of stories here and it's unreasonable to expect them to be groundbreaking works of literature. I just wish they didn't resort to rushed, awkward story cliches so often. There's a lot of super awkward exposition and 'childhood friends' on display here. It kinda takes me out of the story each time. Then there are the video ads that pop up from time to time. They aren't super frequent (thank goodness), but they happen often enough to be irritating. Usually it's between chapters or when resuming after re-opening the app. 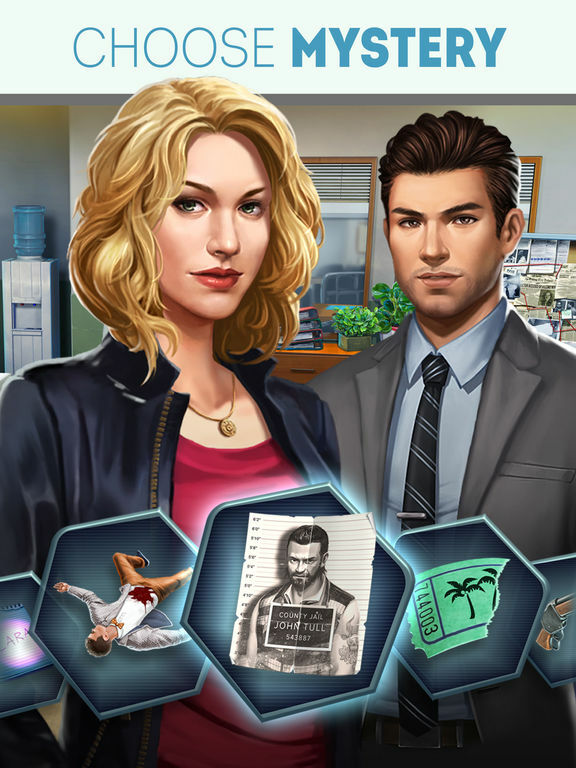 Though this problem is nothing in comparison to Choices' biggest flub: monetization. I've played a lot of freemium games over the years. I've seen lots of different - and even more similar) approaches to asking people for money. Some of them were so lenient I worried about the developers making money. Others were so heavy-handed I wondered why anyone would even bother. And then there's Choices. It's the only monetization model I can remember that's made me legitimately angry. It makes me angry because the monetization isn't tied to the obvious stuff like unlocking more stories or even new chapters. Oh no. The gimmick here is that some story choices (always the best ones, naturally) can only be made using premium currency. If you're in the middle of a chapter and suddenly find yourself needing to make a decision that you just know will give you a big advantage, chances are you'll need to pay for it. This might just be the most frustrating approach to monetization I've ever encountered. Choices: Stories You Play is a decent collection of choose-your-own-adventures to explore, except for the frustrating monetization tactics. It would make so much more sense, and be much more consumer-friendly, to do something like make the first story free with ads and then let people purchase new stories.